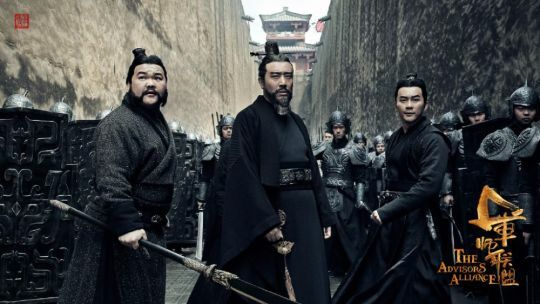 Starring Wu Xiubo, Liu Tao, Li Chen and Yu Hewei, The Advisors Alliance (军师联盟) is a historical epic chronicling the life of Sima Yi, a famous politician during the Three Kingdoms era of Chinese history. More stills and posters below the cut. 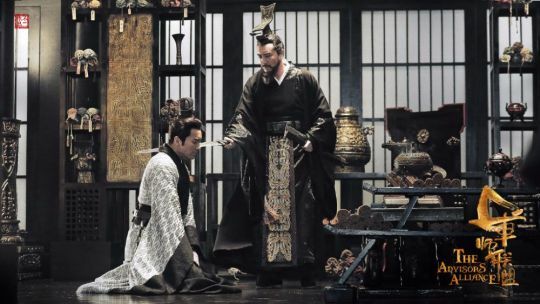 In the twilight years of the Han Dynasty, powerful warlord Cao Cao forces the talented Sima Yi (Wu Xiubo) to pledge his loyalty to the Kingdom of Wei and its successive rulers. However, internal turmoil and political unrest would eventually pit the two households against each other in a struggle for ultimate power. The romantic relationships Sima Yi has with his wife Zhang Chunhua (Liu Tao) and concubine Bai Lingyun (Janine Chang) are also explored at length. Both women had a great sense of political acumen, and aided Sima Yi in many of his political maneuvers. With a total investment nearing 400,000,000 yuan (approximately 61 million USD), expectations are high that the all-star cast will deliver a gripping story about prominent political strategists in one of the most turbulent eras of Chinese history. “The Advisors Alliance” is helmed by established director Zhang Yongxin and writer Zheng Wanlong, with a tentative air date of early 2017 on Jiangsu TV. **Liu Tao actually posted the three new stills today to commemorate the Dragon Boat (Duanwu) Festival. In history this couple had a bitter ending, though the synopsis submitted to SARFT suggests the drama has other ideas in mind. This entry was posted in Drama, Mainland China and tagged Janine Chang, Li Chen, Liu Tao, Tang Yixin, The Advisors Alliance, Wu Xiubo, Yu Hewei, Zhang Zhixi by XDramasX. Bookmark the permalink. omg, on the first read of that sentence, I was like “you are such a poet!” Definitely, we get too many rainbow costumes these days, this is so refreshing and pleasant to the eyes! I can definitely feel you. The system does sometimes take some getting used to and also we try to have some standardization among our posts. Let me know if you ever feel like doing more like a Sinology Sunday or anything. I believe you should be able to get my e-mail from idarklight. Thanks! 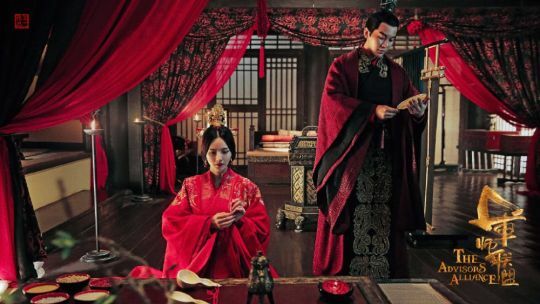 Your Sinology Sundays are a great source of information for me, since I’m no expert at historical costumes. Liu Tao looks beautiful, and the costumes in general seem pretty but not over-the-top. Also apparently Wu Xiubo has his own scriptwriting team, so this should be good.